Sounds kind of boring, but wait! Two ideas here. One is quiet, the other is I'd rather hear the fan than other noises that may be coming from the lav. Just being practical. Unless you plan to insulate your walls in the water closet, and have an extra thick door, please consider this. Another fun option is bath fan combos. Like adding heat, or light, or night light, or radio, or bluetooth. 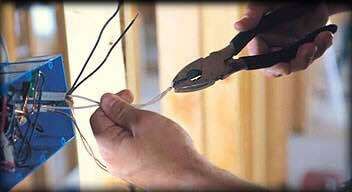 Our Colorado Springs clients deserve the best from their electrician!